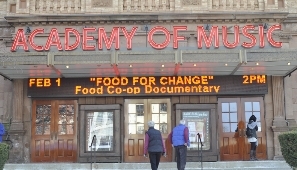 A $10,000 grant from Frontier Co-op will help co-op members, the general public, and college and high school students across the country learn about cooperatives using the documentary Food For Change! Their contribution will help up to 30 co-ops receive a discounted copy of the two DVD set of Food For Change. Also in this newsletter, we give an overview of the Co-op Month screenings nationwide, and Steve Alves’ tour to six cities around the country. Read it here. It’s time for a National Cooperative Education Campaign using Food For Change! Also in this newsletter, we welcome co-ops to review our Outreach and Distribution plan to spread the idea of cooperation nationwide. We thank our new contributors, share endorsements from recent screenings, and include a special gift. Read it here. On July 5 we wished everyone a very happy International Day of Cooperatives by sharing our interactive Food Co-op Map of the U.S., and a free screening of Steve Alves’ documentary Talking to the Wall. 112 DVDs shipped out to those co-ops who gave $500 or more. We welcome new co-op sponsors and discuss the marketing and distribution phase that is now beginning. Sign up here to receive updates on the film. News about the coming DVD release & request for sponsors to review their sponsor credits. 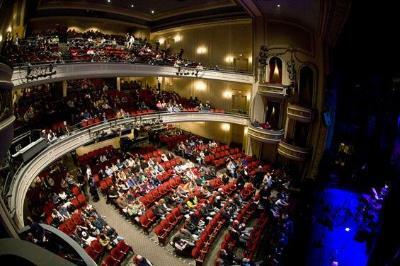 Recap of our near-hometown screening at the Academy of Music in Northampton, MA. Welcome to new sponsors. Upcoming screenings list & more! Recap of premiere & webcast screenings, information on Steve Alves’ jazz trio “Midnight Swerve”, who opened the Minnesota premiere, and a list of participating webcast co-ops. Information on community screenings, links to trailer & poster. DVD release update. 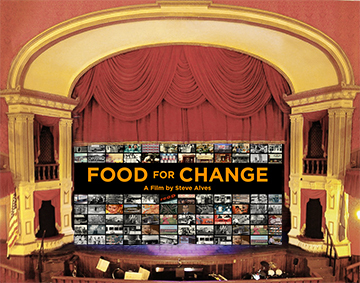 Announcement of the October 20, 2013 world premiere of Food For Change at the legendary Fitzgerald Theater in St. Paul, Minnesota, with simultaneous webcast to co-op communities across the country. Links for ticket sales, webcast sign-up, promotional materials. Funding update. Director Steve Alves provides an update on production, a look at the poster for the film, and a look at the status of our fundraising efforts. We also say hello to some new members of the team! Great News! 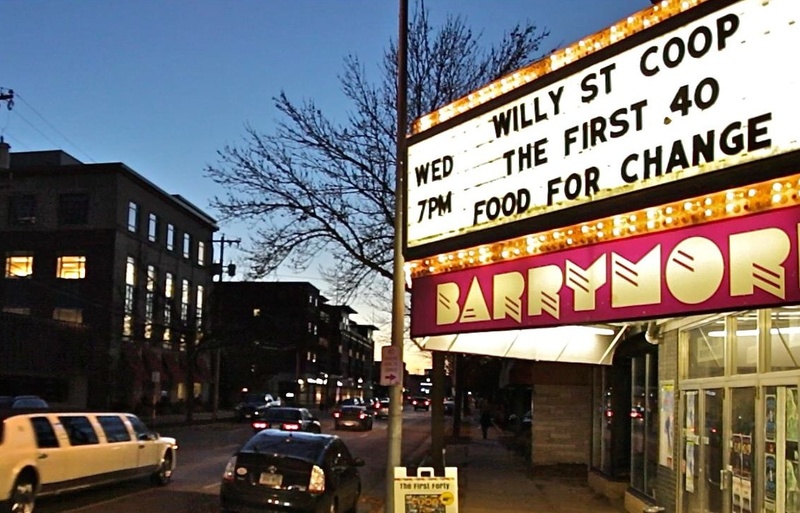 Our film about food co-ops in the Twin Cities was selected as a Winner of the United Nations International Year of Cooperatives (IYC) Short Film Festival held at the UN headquarters in New York City last month. 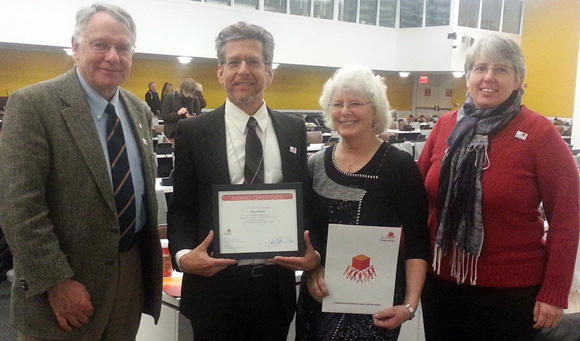 Several co-op leaders, myself, and members of my crew travelled to New York to receive the award. 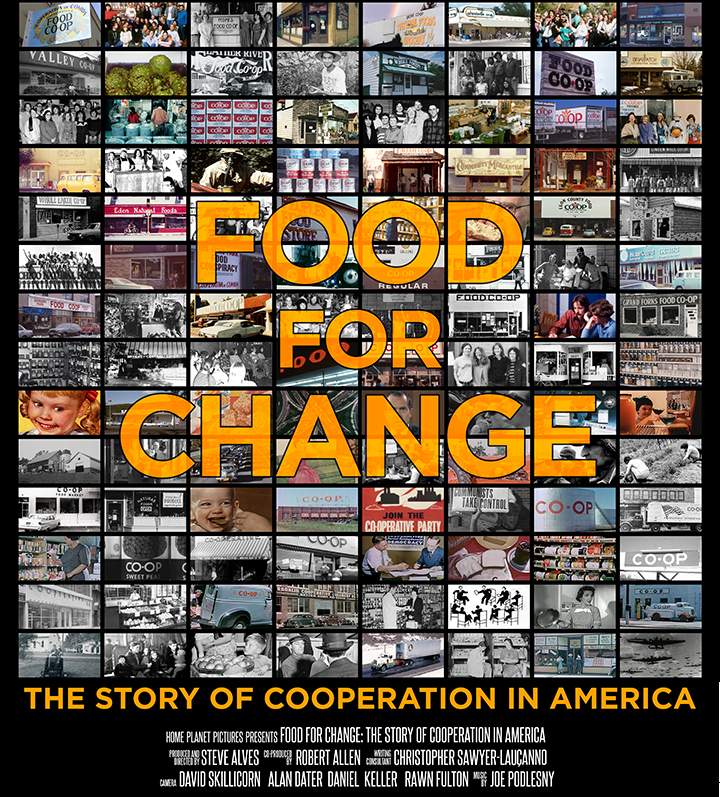 We produced this 15-minute film– a chapter from the feature-length film Food For Change– to gain advance publicity for the feature film to be released in Spring 2013, and to show strategies to expand the cooperative movement in the United States and throughout the world.